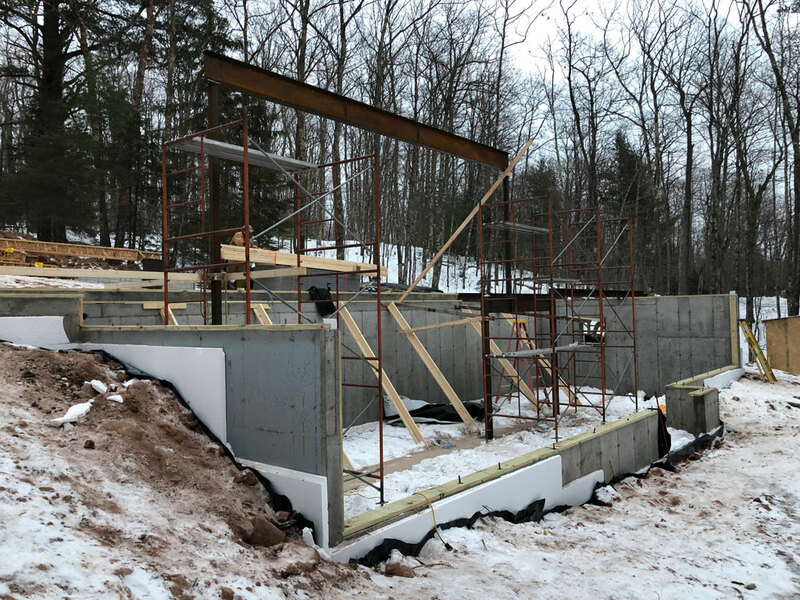 On a chilly afternoon in January I headed north for the first site visit to a cabin in the early stages of construction. 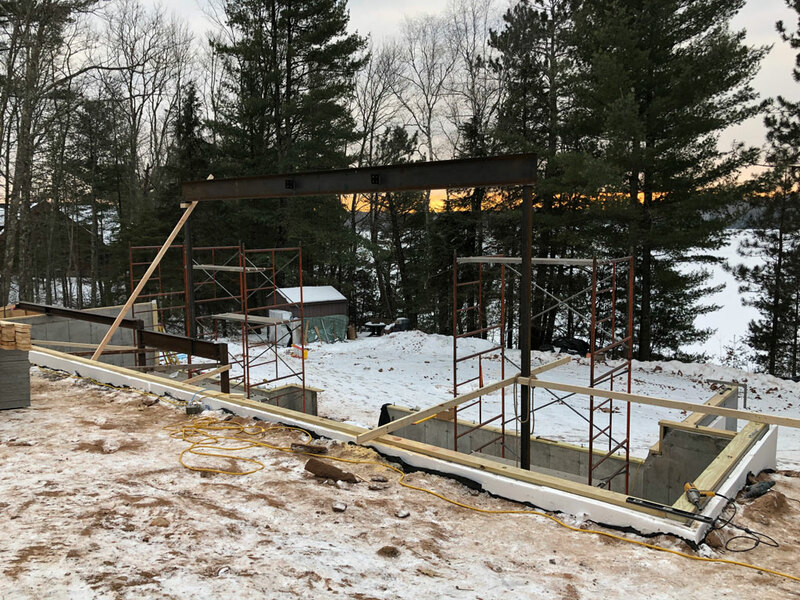 I was insulated from head to toe to combat the icy wind coming off the lake, but excited nonetheless to get a good look at the newly set steel and the concrete foundation. It is always fun once the drawings are done and the construction has started to see a project begin to take shape in reality, but one of the things I especially enjoy is to see it finally set within the context of its site. As designers of people’s cabin dreams, we often have the great fortune of visiting beautiful and extraordinary sites. Figuring out how to integrate a building within these sites is one of our main preoccupations in the early stages of design. How do we take advantage of the best the site has to offer without taking away from the site itself? 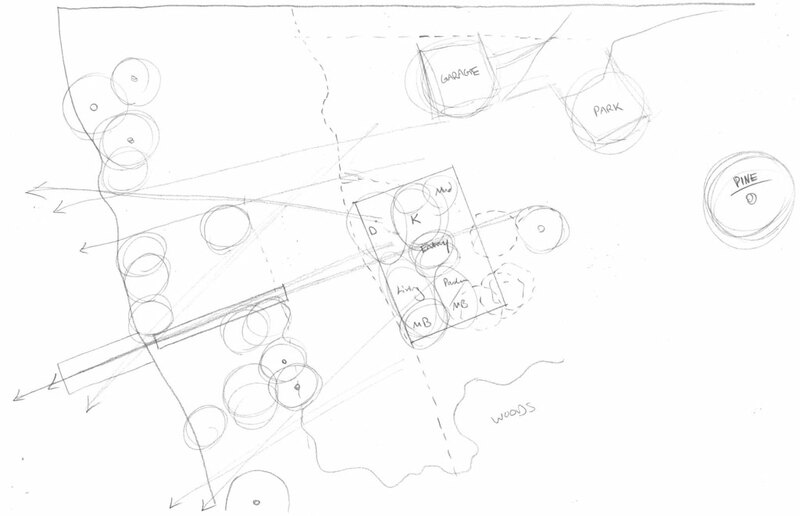 The natural beauty of the site is arguably more important than the building; how do we emphasize and compliment this? 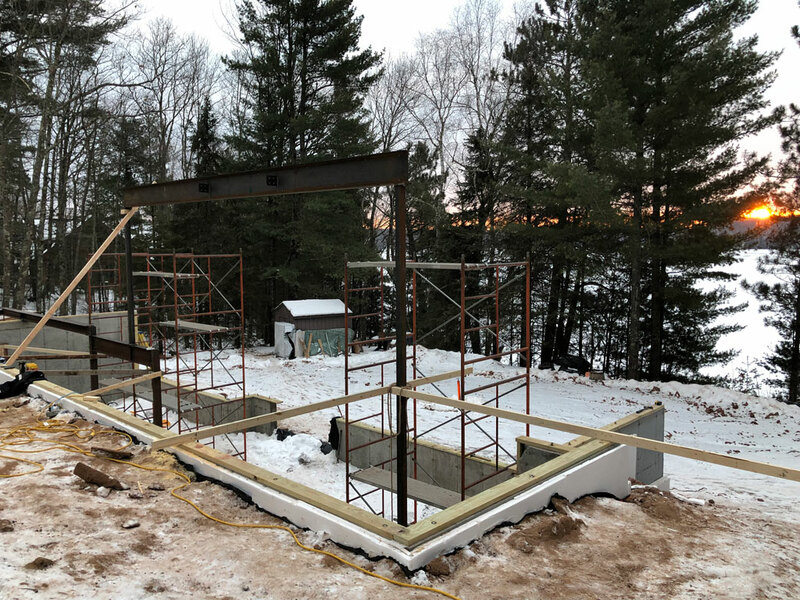 The site in question was to become the location of a new family cabin on Lake Owen in northern Wisconsin. 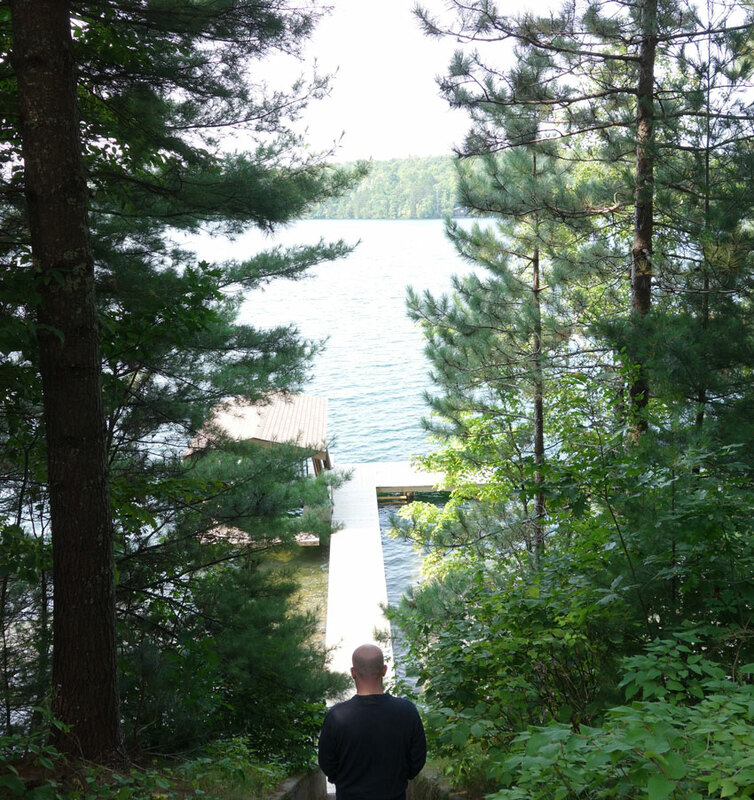 The landscape we saw on our initial visit the previous summer was absolutely lovely– tall red and white pines guarding a steep slope downwards into the pristine waters of Lake Owen. Our clients told us of their desire to preserve this. They didn’t want to cut down trees to clear a view of the lake, but preferred to create a quiet cabin that would blend into its surroundings and allow the shoreline to be natural from the water. 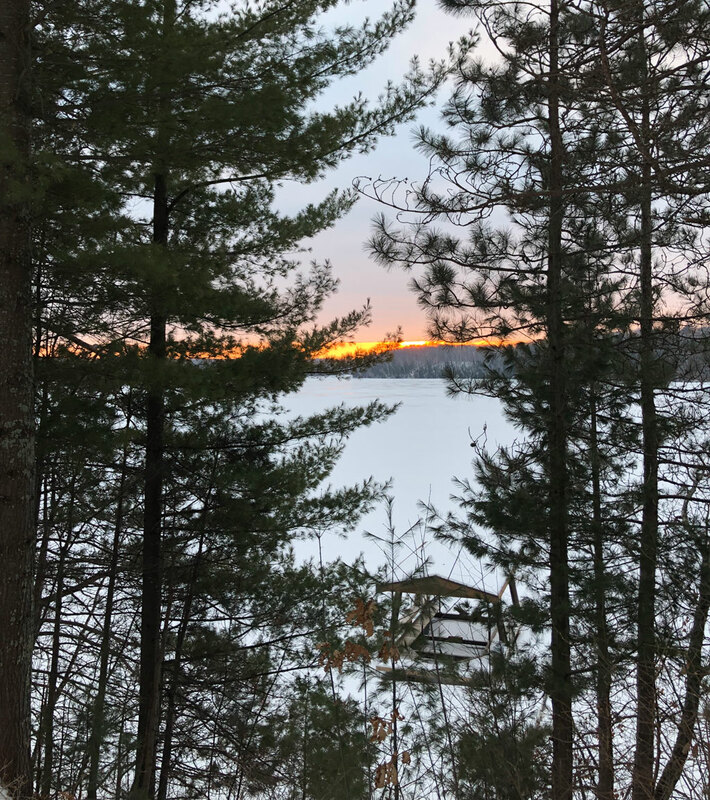 We studied the site survey carefully as we worked on schematic design, noting the way that it sloped, the groupings of trees and the windows through them to the lake. We drew diagrams to help us sort through our knowledge of views, sun patterns, and of course setback lines. We considered how one would approach the cabin from the road, and how it might be dug into the hill, opening up to the lake on the opposite side. 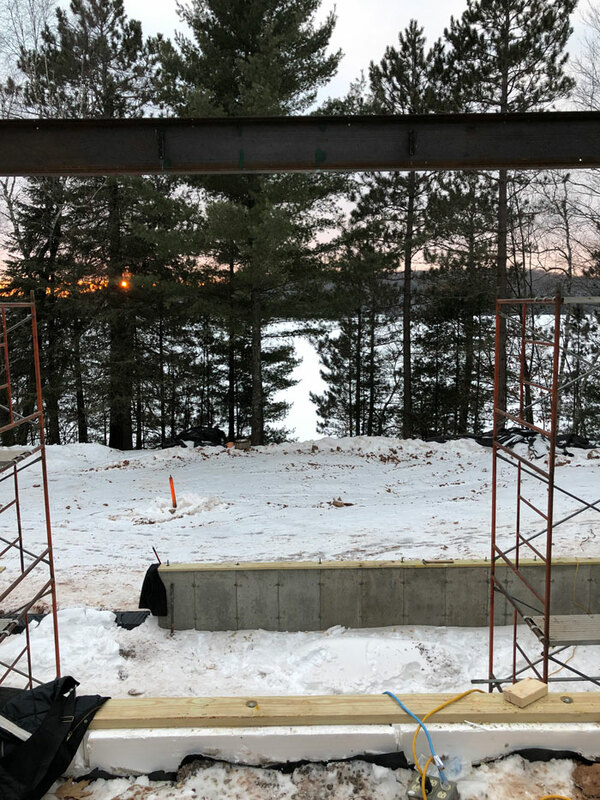 On that cold January day, although I spent most of my time observing the forms of the concrete, the steel connections, and envisioning the shape of the cabin filling in around the dark steel, I couldn’t help gazing beyond to the pines, frozen lake and setting sun. Mission accomplished!